The April 25 earthquake that killed thousands of people and leveled much of Kathmandu also devastated Nepal’s remote mountain villages. Massive landslides wiped out entire villages, rivers were dammed, and the earthquake further shook the geologic and geomorphic integrity of high-altitude mountains, glaciers, and glacial lakes. Daene McKinney, Ph.D., P.E., D.WRE, M.ASCE, an active member of ASCE’s Environmental and Water Resources Institute (EWRI), is leading a research team from the High Mountains Adaptation Partnership (HiMaP) on a rapid-response mission where he will conduct field-based assessments of the Nepal earthquake’s impact on the country’s potentially dangerous glacial lakes. The team’s work is supported by contributions from Climate Change Resilient Development, a United States Agency for International Development project; The University of Texas at Austin; private donors; the ASCE Disaster Relief Fund, and ASCE-EWRI. Through HiMaP, a joint project of the University of Texas at Austin and the Mountain Institute, McKinney has been analyzing the risk of glacial lake outburst floods from Nepal’s glacial lakes for the past several years. 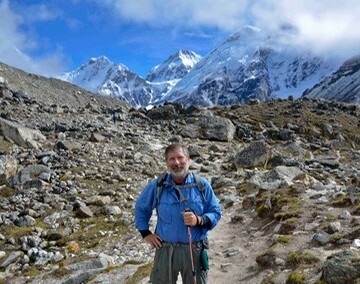 He has made several trips to the high mountain lakes, which are now in need of rapid inspection, to determine the extent of changes and increased risk as a result of the earthquake. Since the April earthquake, the research team has conducted detailed remote-sensing analysis of the potentially perilous glacial lakes as part of the Nepal Earthquake Image Analysis Volunteer Group, under the NASA-USGS-Interagency Earthquake Response Team. Between June and August, a HiMAP team will conduct rapid field-based assessments of Nepal’s most potentially dangerous glacial lakes in partnership with Nepal’s Department of Hydrology and Meteorology (DHM), the International Centre for Integrated Mountain Development (ICIMOD), and the Government of Nepal’s Army. Imja Lake (16,437 ft), Tso Rolpa (14,915 ft), and Thulagi (13,268 ft) glacial lakes will be assessed through a combination of foot and helicopter travel. Additional lakes may be evaluated based on local need. 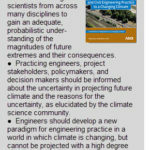 Findings will be submitted for publication in ASCE’s journals, Civil Engineering, the EWRI newsletters, and other civil engineering research reporting channels. The insights obtained through this research are applicable to other parts of the world because the threat of destabilized glacial lakes exists in many countries, including the United States (Alaska), Canada, Bolivia, Chile, Argentina, Switzerland, Austria, Georgia, Kazakhstan, Kyrgyzstan, Tajikistan, Afghanistan, Pakistan, India, Bhutan, Myanmar, and China. I helped land the main funding for this recon, convinced that Dr. McKinney, Dr. Byers, and their team were best qualified to report functional data for USAID and the Government of Nepal. The team posts pictures and updates from their recon mission on their active facebook page: https://www.facebook.com/groups/218558948260398/. And I’ll be sure to publish their final findings later in August on ccrdproject.com. They are a world class team.